The NES-PF has been eight years in the making, and has involved district and regional councils, ENGOs (including Fish and Game, Forest and Bird), Department of Conservation, Iwi and other interested parties. 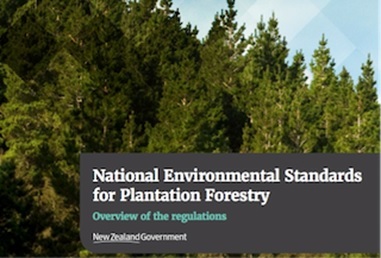 The aim is to create a more even playing field for forestry around New Zealand, by applying a consistent set of rules across the country for forestry activities. Over the next few months the Ministry for Primary Industries (MPI) and the Ministry for the Environment (MfE) will be undertaking a roadshow on the NES around New Zealand, designed to help councils and foresters adjust to the new requirements before the NES comes into effect on 1 May 2018. Alongside this roadshow, a series of templates, particularly around harvest plans, will be developed to help ensure consistency across the country. For more information on the NES please see the MPI website or view the legislation. PF Olsen’s Environmental team will provide training for operational staff across the country to supplement that delivered by MPI/MfE, as well as produce in-house tools to streamline operational planning under the NES-PF. Watch this space!